Tree swallows have made their spring return. 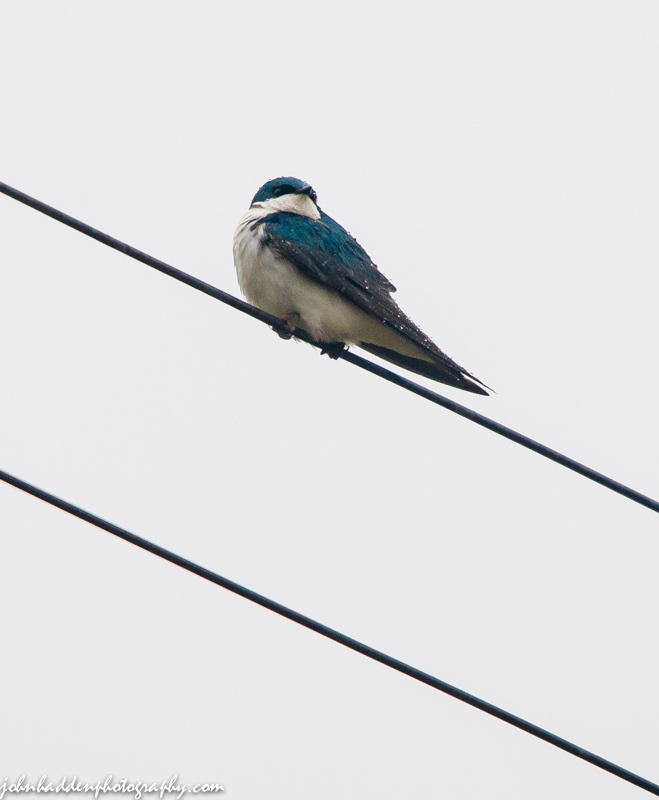 This guy was perched on a roadside wire in the rain. Thanks again Amy! Glad to hear you have tree swallows down in your neck of the woods. There aerial acrobatics are quite impressive!